Michael is one of the Managing Directors of Global Factory Maintenance. Michael has completed numerous courses including an Advanced Certificate in Engineering and Fabrications, Disciplinary Procedures and Managing Poor Performance, all of which comes into play when managing the GFM Team. 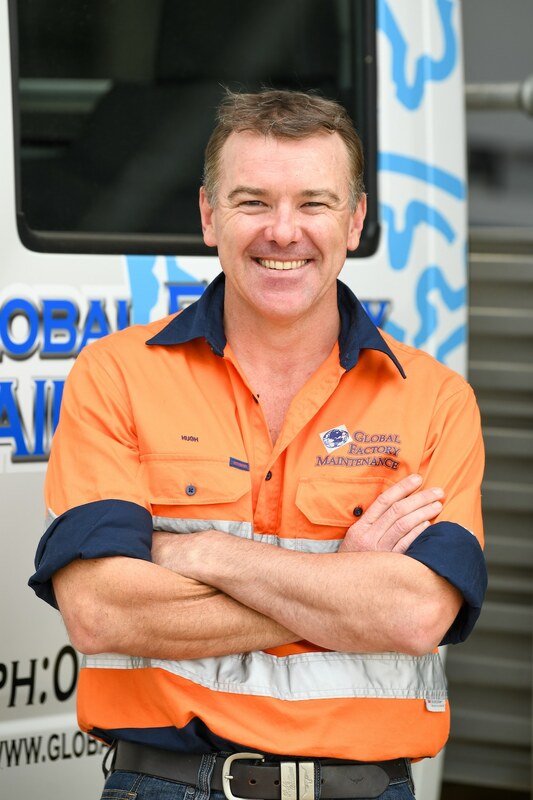 Michael is proud of the business that he has helped develop and is appreciate of the steady and reliable client base GFM have built around them. 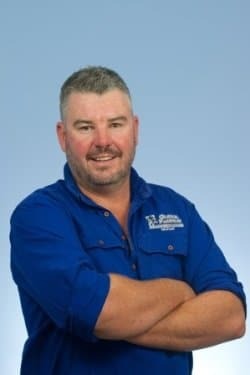 When his not in the office or working away, Michael loves spending quality time with his family, camping out in the bush or playing with his tractor and motorbikes. Gerard Telford is the other Managing Director of Global Factory Maintenance. Gerard oversees the tendering, scheduling and job planning with the assistance of the Operations Manager, Project Managers and Workshop Foreman. Gerard has a back ground in Manufacturing and Construction with qualifications in pressure pipe welding and sheet metal fabrication and uses these skill sets frequently when applied to the daily running of the business. Having entered into the GFM partnership at the age of 23, Gerard is proud of what has been achieved in almost 14 years in business. 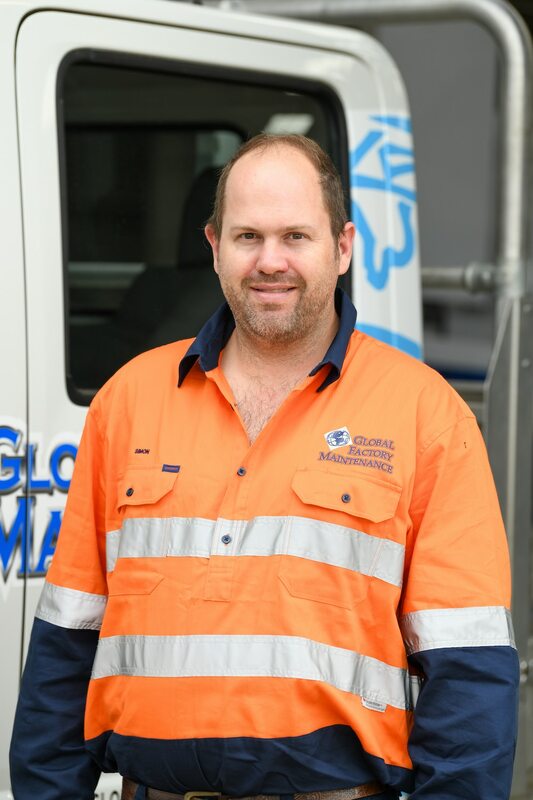 Gerard enjoys the challenges faced with GFM and the variety that comes with the many services GFM provides its customers. When not working, Gerard enjoys watching his children grow within the local community and supports school and sports programs where ever possible. Hugh plays a major role within the office, with background knowledge in all aspects of Business he is the ‘go to’ man and is always happy to help others. Hugh takes care of the OHS, Quality Control, Human Resources and Project Management for Global Factory Maintenance. With a Diploma of Advanced Business under his belt, Hugh is a highly valuable part of the GFM Management team. One of Hughs greatest achievements at GFM is taking our OHS Policies and procedures to the next level, by doing this has raised the bar for GFM in all aspects of Project Quality Control and in turn creating more opportunities for larger scale projects. 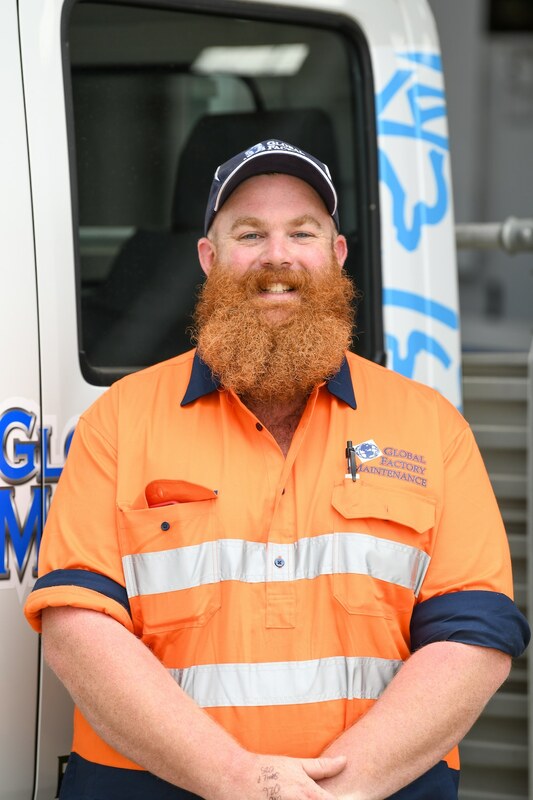 The ability to go anywhere, anytime, for remote work, Australia wide, is one of Hugh’s favorite things about Global Factory Maintenance. In his spare time, Hugh is into trailbike riding and being outdoors. Having started at GFM back in February 2006, Chris has now become a major cog in the wheel that is Global Factory Maintenance. With a Trade Qualification in Sheet Metal Fabrication, Chris began his climb up the GFM ranks becoming Workshop Foreman back in 2010 which then led to becoming part of the Management team in 2016 and his current role as Project Supervisor. Chris has excelled supervising numerous projects both locally and Australia Wide, Including but not limited to, the Waste Water Treatment Plant, AGL Hydro Electric Power Station, the refurbishments of Lake Buffalo’s Dam Wall Spillway and Gates and the RAAF Base Tindal work on the NACC Project in NT. 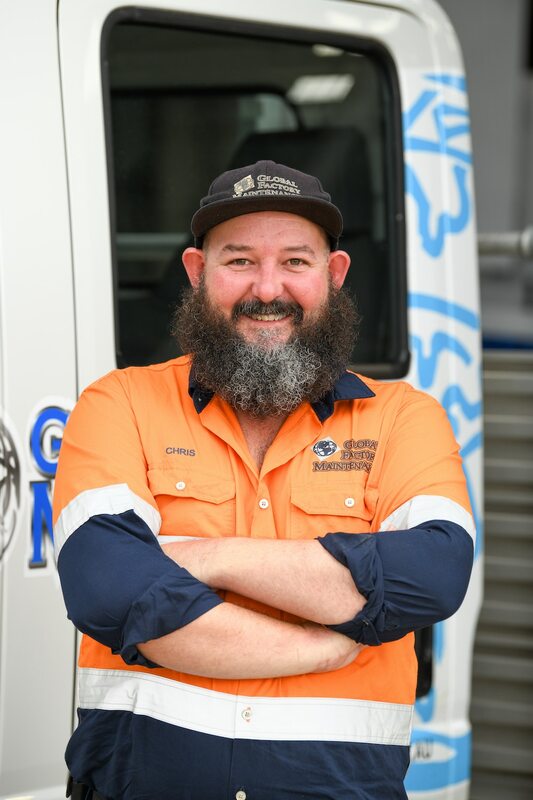 There are several things that keep Chris motivated and excited to wear the GFM uniform on a daily basis, which includes being able to learn something new and exciting each and every day and consistently sharpening up his skills. Chris enjoys being able to stand back at the end of a major project and bask in the glory of another quality GFM job done well, First time, Every time! When Chris isn’t at GFM, you will find him riding his Ducati Motorcycle, taking photos of trains or relaxing with a can. Dan also known as ‘Dirty Dan’ or ‘Kingy’ jumped on board the GFM train in January 2010. Stepping into the Workshop Foreman role in 2016, Dan brings up to 13 years of Trade Experience with him, specialising in stainless and sheet metal. Dan has excelled since starting at GFM with numerous additional tickets under his belt including pressure pipe welding and many high risk tickets which are required for this style of work. One of the many things Dan enjoys about GFM is the opportunity to grow his skills and better his career with the full support from his peers and management. Dan enjoys the outdoors, riding dirt bikes, cutting wood, tinkering in the shed and catching up with mates for a beer. After spending more than a decade as a Maintenance Engineer in the Defence Force and several years in architectural and structural design, Simon brings his extensive technical knowledge and adaptive design skills to the Global Factory Maintenance team. Simon holds Advance Engineering Trade qualifications as well as an Associate Degree in Engineering and is now our lead designer. 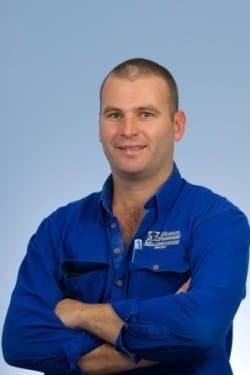 He has played an integral role in numerous projects across Albury/Wodonga and wider surrounding areas. Simon says what he enjoys most about working at GFM is the huge variety of projects and being able to work within a team of like-minded, dedicated people. Simon likes to spend his spare time with his young family. He also enjoys traveling and many technology-based hobbies. Kimberley started with GFM as a Payroll Clerk/Administration Assistant, with her extensive knowledge, leadership and above all ‘can do’ attitude, Kimberley quickly found herself stepping up into the Accounts Manager. With a Certificate IV in Accounting and further studies underway, her roles include but are not limited to, HR, Payroll & Accounts Management. Stepping up into a Managing position in just 12 months at GFM is one of Kimberley’s greatest achievements. The support and team environment is just one of the things Kimberley loves about GFM. Kimberley is tremendously grateful for the opportunities to grow and further develop her skills with the full support from her peers and management. Outside of work, Kimberley enjoys camping, horse riding and spending time with family, friends and her beloved dog ‘Thunder’.